This post has been in the works for a few weeks now. I love the shorter Ramadan hours, but squeezing in a whole day's work into 4 hours is just crazy! 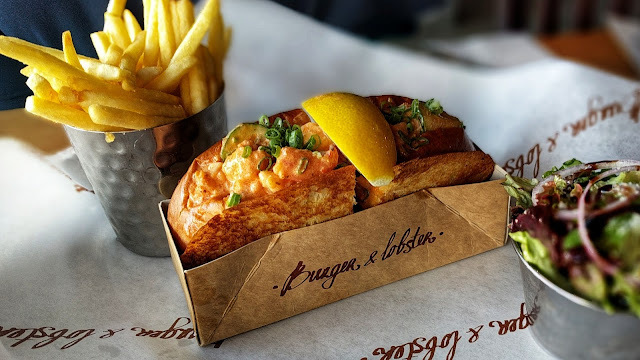 I received an invite to enjoy lunch at the newly opened Burger & Lobster branch in the City just before Ramadan. For those out of the loop, their branch at the Avenues closed down at the end of last year and this new location opened up a few months ago. Now, the last time I'd been to Burger & Lobster was a few months after they'd first opened shop here in Kuwait, which was a good 2 years ago (click to read my review). 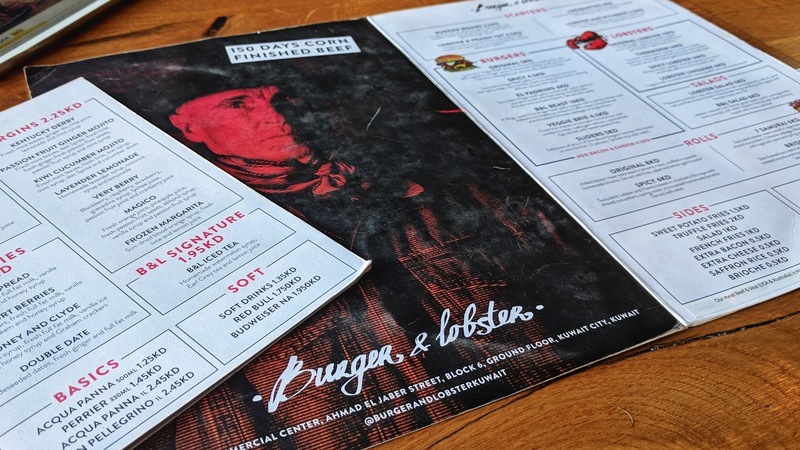 Back then, they had a simpler menu with just three items on it, a burger, a lobster roll and of course a lobster (which could be either grilled or steamed). You could order them individually or experience all three in a combo which also included dessert. 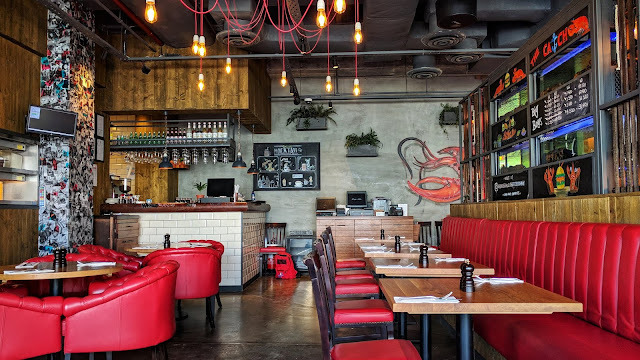 Fast forward two years and their menu has since expanded quite considerably with various twists on the burgers, rolls and the famous whole lobster along with a host of different starters, sides and desserts. Everything looked so good and it was a case of deciding just how much I could squeeze into my stomach. Having pictures on the tablet sure helped! You know how much I love seeing what I'm going to order. Don't you just love all the red accents? The exposed ducts and bare light bulbs just add to the rawness factor. 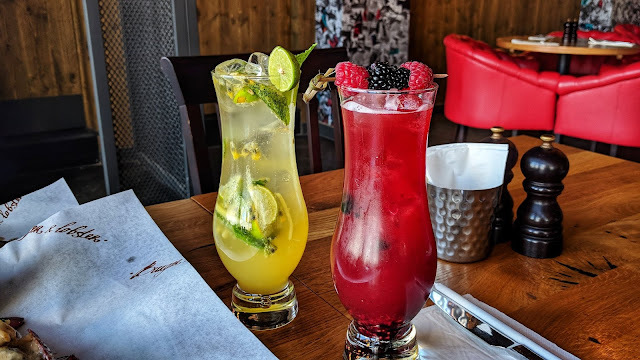 For drinks (KD 2.250 each) we had the Passion Fruit Ginger Mojito which was the perfect accompaniment to all the seafood we devoured. The combination of mint, lime, ginger and passion fruit really hit the spot! We also ordered the Very Berry which was unfortunately a little diluted for my taste. It contained a mix of blackberries, strawberries and raspberries along with a cocktail of other juices which all sounds great on paper, however it just fell short and needed a little acidity to lift the drink. For starters, the Lobster and Prawn TNT (KD 3.5) came highly recommend and I can see why! Tempura coated prawns and lobster meat tossed in Burger & Lobster's signature hot sauce, topped with sesame seeds and scallions. Yum! The tempura was beautifully crispy and the hot sauce added a nice kick without being too overpowering. Can't go to Burger & Lobster without ordering the whole lobster right? It was a tossup between the Original and the Thermidor. Since I'd already tried the original the last time around, we went for the Thermidor (KD 14). 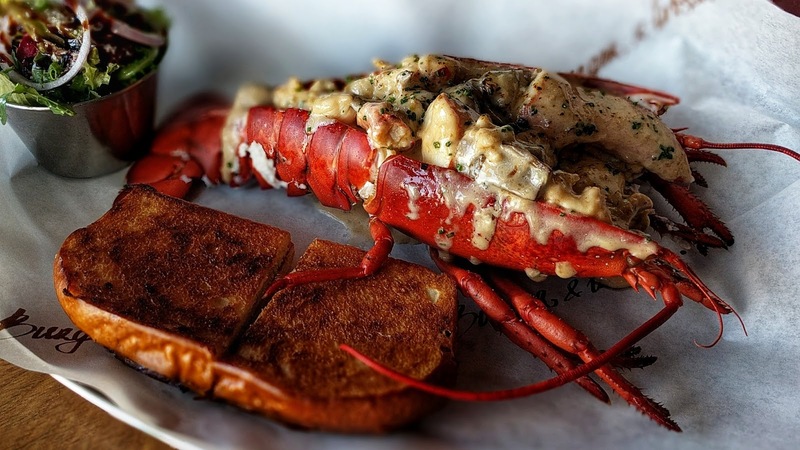 This is described on the menu as succulent whole lobster cooked in a creamy herb mushroom sauce, gratinated with parmesan and cheddar cheese. 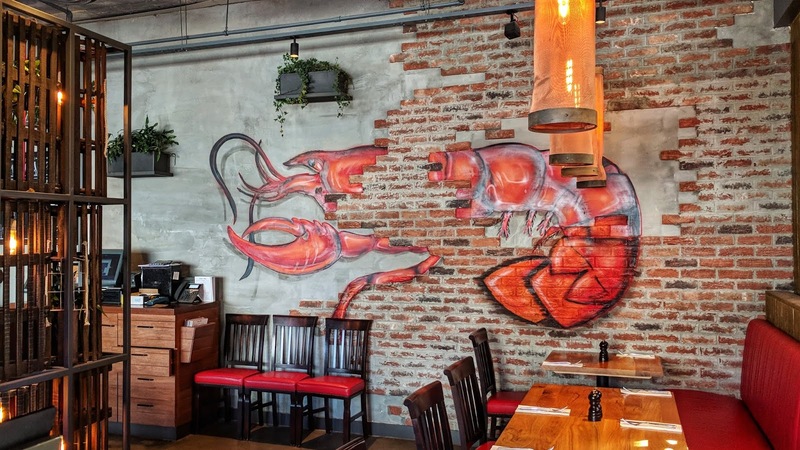 The lobster came served with a toasted garlic brioche and a side salad. That's a lot of food and is probably best shared between two. Between the Thermidor and the Original, I think I favour the original, absolutely nothing can beat that lemon and herb garlic butter sauce, but this was an amazing dish. I really enjoyed the creaminess of the mushroom sauce and that lobster had just been cooked so perfectly. Each mouthful was heavenly. Finally we went for a roll. After that monstrosity of a lobster, we had very little room left, but we couldn't bring ourselves to leave this off our order. There were four rolls to choose from (three lobster rolls and one braised beef roll). 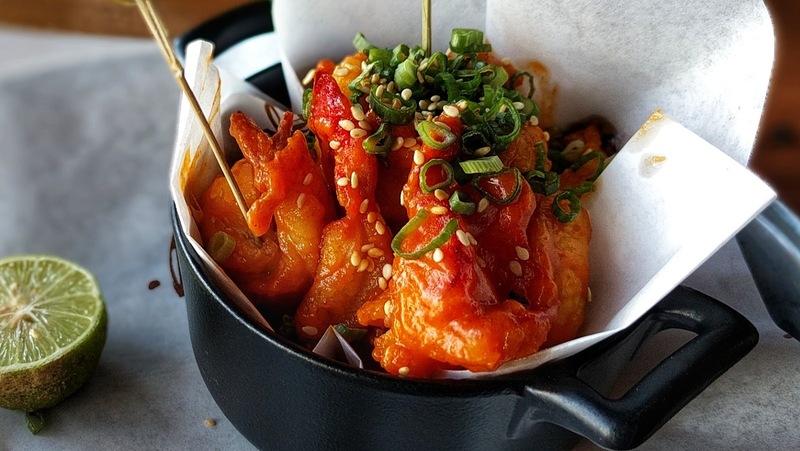 I love spicy twists on food so it was an easy choice to go with the Spicy Roll (KD 6). The spicy roll contained both lobster and prawns tossed through a herb chili mayo. The chili mayo added a gorgeous creaminess to the cold meat, set off beautifully by the toasted brioche. An amazing combination! The roll also contained cucumbers which added a nice crunch and texture. We also ordered a side of French Fries (KD 1) to go with it. For dessert we were swayed by the photo of the french toast. 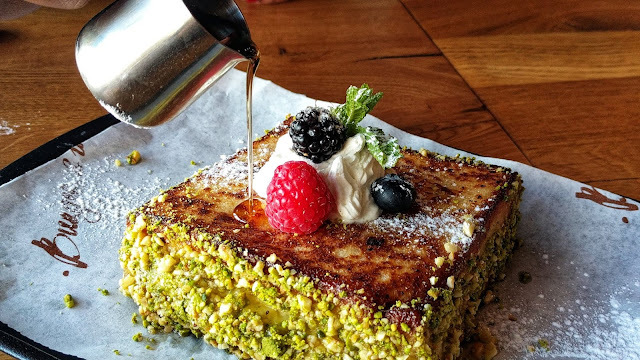 The same beautiful brioche which we were obsessed with, served with a generous pistachio crust and topped with fresh cream and berries. And it didn't end there! Cutting into the brioche revealed a silky vanilla custard. It was the perfect end to our meal leaving us with a food high. For the most amazing fresh lobster and a truckload of other amazing choices, visit Burger & Lobster! You won't be disappointed, just make sure you leave room for dessert.